It’s fairly easy to do. 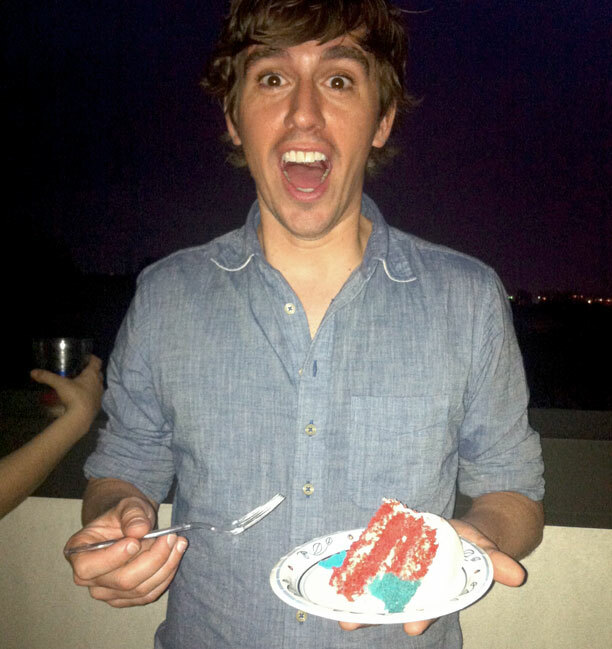 I baked 2 cakes, one small blue one and a larger red one. I sliced the red one into 4 layers and kept the blue one in tact. 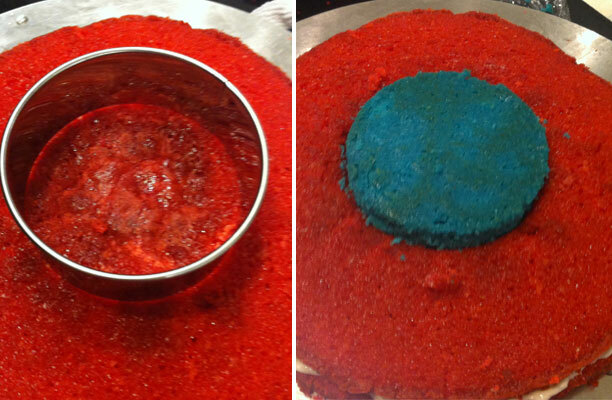 I cut a hole in 2 of the red layers, the exact size of the blue cake and then put the blue cake inside. That way when you slice open the cake, you get a nice flag effect. I had to cover the whole cake in white fondant because the red cake was showing through the white buttercream. I’m sure next time if I had more time I could have covered the cake with just buttercream but this was a quick and easy way to make the cake look polished. 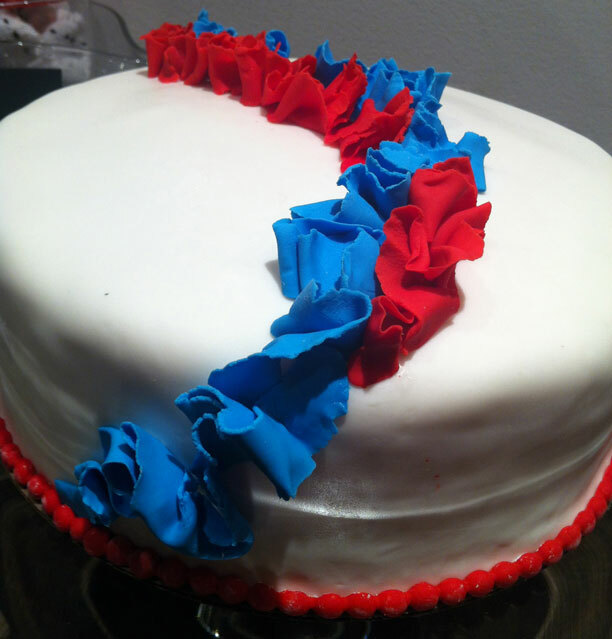 I topped off the cake with a ruffled swag in patriotic red and blue made from fondant. We had some people over for the 4th who helped us enjoy it.